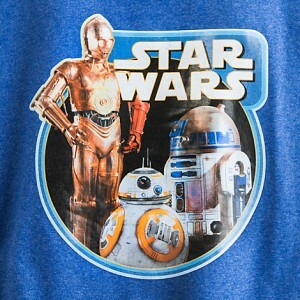 Disney Store Episode 7 items! 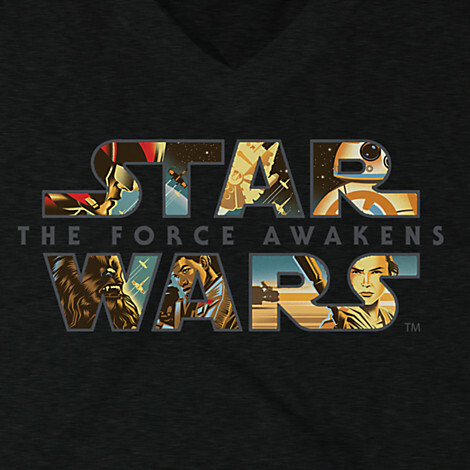 The Disney Store has added their new Force Friday range of Episode 7 items to their website. The new range includes two women’s t-shirts (with a few more items marked as ‘adults’, which are unisex/men’s style/sizing). The first is a blue t-shirt that features a print of C-3PO, R2-D2 and BB-8 – available in sizes XS to XXL and priced at US$19.95 each. 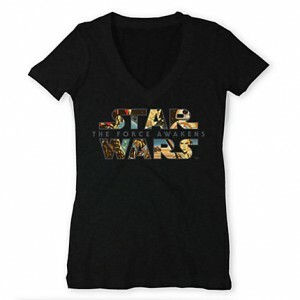 The second is a black v-neck t-shirt featuring the Star Wars logo with The Force Awakens artwork within the logo – available in sizes S to XXL and priced at US$27.95 each. This black t-shirt is marked as ‘limited availability’ and is only available for order from 4th to 9th September – so don’t delay if you want to pick up this t-shirt! 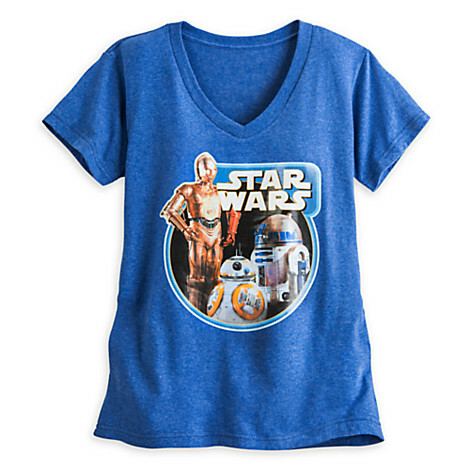 While Disney Store can ship internationally, the limited t-shirt will not ship outside the contiguous US, though it appears the blue ‘Droids’ t-shirt can be shipped overseas. 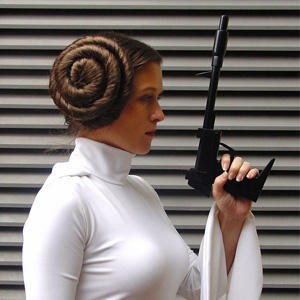 For US customers, get free domestic shipping on orders that include a Star Wars item with the code ‘Force’, valid until 11.59pm PT 6th September. The limited shirt is also included in a ‘buy 2 for US$40’ promotion for the time limited Episode 7 t-shirts available at the Disney Store. Photos sourced from and belong to Disney Store. Previous Post Kay Jewelers x Star Wars items! Next Post Hot Topic’s new Episode 7 items!